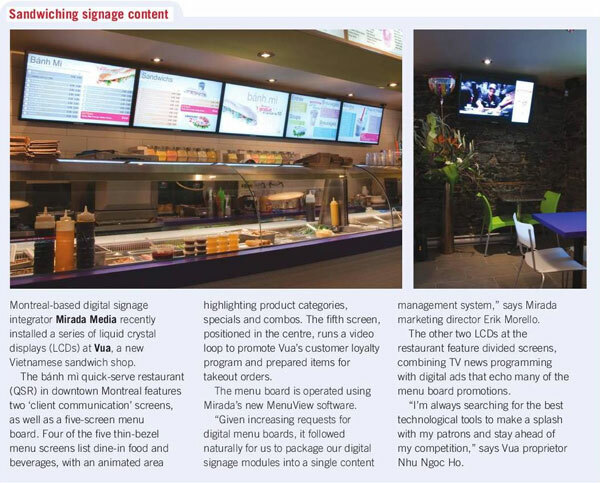 Digital Signage Blog by Mirada Media – Page 4 – Digital Signage News for Mirada Media, Inc. The publishers over at Sign Media Canada were gracious enough to include us in their November issue. 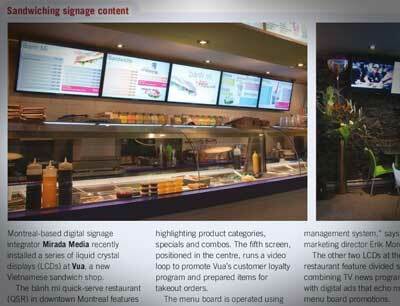 The page 6 snippet recaps our digital menu board and digital signage installation at Montreal bánh mì restaurant Vua. 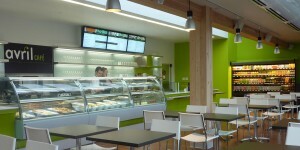 You can read the digital edition of the magazine here.